Gupta Goes Greek | Thoughts. Until the mind becomes thoughtless! Recently I came across a ‘meme’ that accused the ‘liberals’ of negotiating prices with vegetable sellers in the street but buying fancy items in malls and stores at face value and then tweeting the grief on farmers’ suicide. On its face, the meme seemed logical. But somehow it didn’t seem to connect the dots. 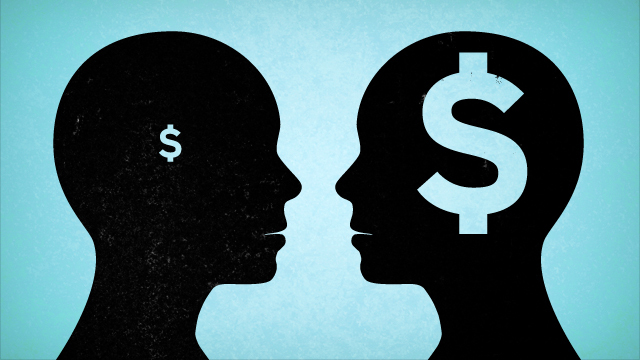 The thoughts of finding why we negotiate had been visiting and revisiting me for a long time. We end up negotiating the cost of the grocery with the vendors in the streets. We bargain with rickshaw persons for a better fare. We do that even for manual rickshaw which requires human muscle strength to pull another human. Often some section of society judges the section of negotiators and bargainers. I wanted to dig deeper instead of dumping judgments and labels. We don’t do this bargaining when the price is printed. Even when that is handwritten on a piece of paper like in the farmers market or artisans market or trade fair, we hesitate in any form of negotiation. In the fancy malls or stores or hotels, we again have only two options – take it or leave it. When the price tags are seen digitally on Amazon or Flipkart, we would have no control again. There might be sale or deals, whose control again sits with the sellers or the platform. Somehow, when the price is written down, it puts mental blocks towards the direction of negotiations. Those printed or written digits discourage us from asking for a better price. Of course, the motivation for this discouragement works differently in different situations. Sometimes the class difference between buyer and seller plays a role. Street hawkers or rickshaw pullers fall in much lower classes than buyers. So buyers exercise some power in extracting a better price. But the power of class differences dilutes if the price is printed. When we buy a house or buy media or software subscription for our company or ourselves, we negotiate to the last drop. Big money involved there. In essence, those negotiations are a thousand times bloodier than the ones on the street with grocery sellers. Thus, ground for negotiation is not as simple as it is portrayed to be. Many factors play into this. 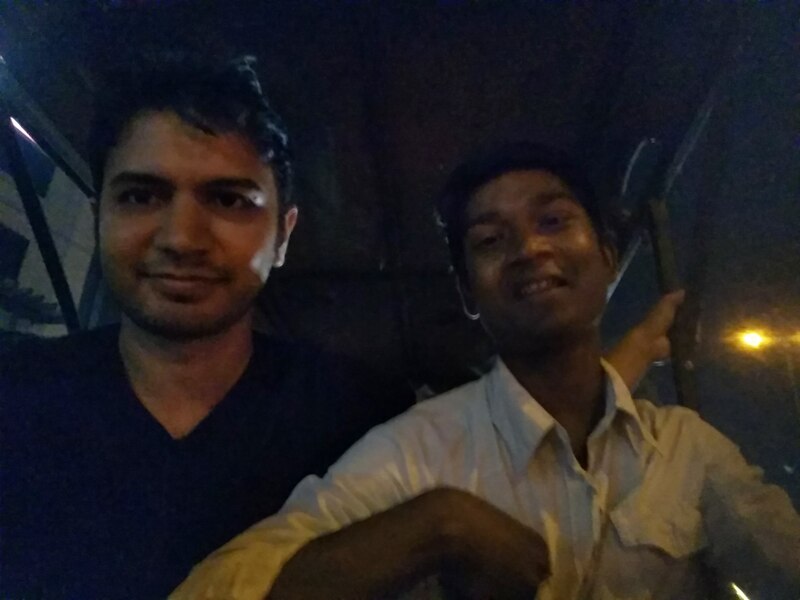 Like every other evening, I took the e-Rickshaw on Friday evening from Uttam Nagar east to Dabdi. The driver was a young man , 23, from Begusarai, Bihar and his name was Aman. As usual, I took the shotgun seat next to the driver because the drivers have amusing stories to tell. Therefore, while looking ahead and talking to this cheerful gentleman, I didn’t know who all were sitting in the 4 seats behind us. Aman amused me by telling the story of how his girlfriend from last 5 years turned bewafa! And he got married at 21 and became a father at 22. At C 1 Janak Puri signal, some passengers deboarded. My pleasant evening mood was suddenly disturbed by the sound of a rather violent pat that I found was on Aman’s hand. There was a passenger, apparently of African origin, who had given Rs. 100 and Aman didn’t notice that as he was busy narrating his stories to me and assumed it was Rs. 10 note, which is what passengers often gave because the ride was priced flat at Rs. 10. Aman apologized, of course in Hindi. And gave him the rest of the change. He again made some mistake in counting and there was one Rs. 10 note less in the change. The passenger yelled again, this time rather more loudly and hit his arm. Aman realized his mistake, apologized again and gave the Rs. 10 note. The man left talking to himself. I don’t know if that is how that man or other people of his community usually talked or he was high on something, but I found this demeanor very disturbing. I can tell from my gut feeling, and not because Aman and I have common identity – Indian, that it was an honest mistake. Incidentally, this happened, just when he was telling me that he does not like Delhi because people are very rude to him. I do not know where that man is from. If it’s Nigeria or some other place. I don’t want to believe that all people of his country or continent behave like that. For all I know, on his part, it might as well be very natural. His talking to himself could also be natural – we also do that in anger. But the only point I am making is that there is a possibility of another side in each of such cases of conflict. Before jumping to any conclusion, we may want to hold our judgments and keep our mind open, absorb information, if we absolutely have to ( we can always have the option of not going to facebook or avoiding news of any kind!) and later have any opinion. Each conflict is different. Assuming that all Nigerians in India are into drug peddling or all Indians are racists is quite a dangerous proposition. Interestingly, when I told that man that he should not have hit Aman, the lone woman in the rear seat, an Indian, advised us that we should stop harassing Nigerians. In politics, there are two ways to impress the people you govern. Words and Actions. Ideally one would expect words to be a short term ploy and actions to be instrumental in creating long lasting impression. Empty vessels are known for making more noise. Actions are assumed to be louder than words. Sometimes, it works out like that. Often it doesn’t. More so, in the times when social media shapes national opinions. Surprising as it sounds even in the case of nations like India where population active on social media is negligible compared to the total population. What she replied shaped my way of looking at political words. She explained that he was up against Modi! 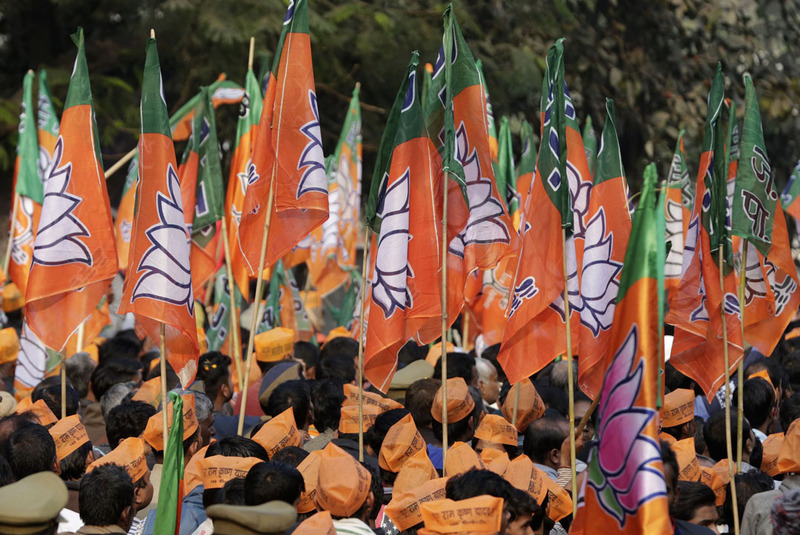 The amount of resources that BJP had, including Modi’s brand was exorbitant. So, Kejriwal would do all that he could, hopefully in ethical limits, to fight this out. I interpreted that in this manner. Political parties or leaders should not be taken seriously on what they say. They need to be judged on what they do. Their saying is more or less inconsequential. They do that for short term political gains to get power or to sustain power . In the US elections last year, or even in the past, so much dirt was thrown by all, including Democrats. I witnessed same madness in Loksabha Elections in India 2014. 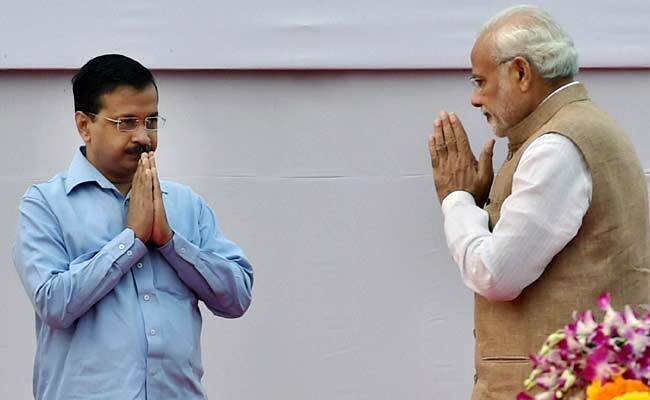 At that time I used to wonder how would Modi and Kejriwal would ever meet in person when they have poured so much of bitterness for each other in public. Incidentally, in India, we still don’t see top political leaders debating directly. So we don’t see the nasty talk that Trump and Hillary engaged in directly with each other on national TV. Can you imagine Modi directly saying to Kejriwal – तुम मूर्ख हो। . I was aghast though when during a debate Trump so effortlessly called Hillary ‘stupid’ ! So many things that Kejriwal says like an uncontrolled stereo are to sustain a public opinion against BJP and keep it in his favor. These are the need of the hour because we live in times when just DOING good work or even SPEAKING about the good work done isn’t enough. All parties engage in trash talk, in putting allegations (false or true), in belittling other parties’ belief and in many other kinds of toxic things. Different political parties or leaders have different methods to engage in this. While Kejriwal does it himself, Modi has a fleet of people and technology and police to do it so that his image stays clean. Around the world, general people aren’t objective enough to see through this. Yet. Simple example – imagine a teacher who gives quality education in a school in an Indian village. A simple way to bring the teacher down is spread such information in public as the teacher eats beef or he is gay or is having a love affair with an upper caste girl or any such things that are considered ‘blasphemous’. And that might be true too. In the knowledge of such information, all the good teaching work would vaporize. Thankfully, we haven’t gone that dirty yet in political narratives. We still try to respect private lives. But we are not far from there. If the current pace and intensity of dirt continues, we shall soon be there! So the point I am trying to make is that when Kejriwal alleges that Modi is corrupt or when BJP says Kejriwal is a liar and takes frequent U-turn or when parties make such allegations, remarks or tweets, which by the way are golden for media, then we needn’t take these seriously. They do it to balance the amount of trash against each other. It’s unfortunate but true. Apart from competing in who does better work for public welfare, they also need to compete in who says more stupid fictitious things or dumps more trash. I must clarify that some of this trash might as well be true. But they come out in an unstructured way without any serious intention to follow through. No wonder these disappear as soon as they come. There are never follow-up actions. If AAP claims that Modi takes bribe, then apart from making #ModiTakesBribe trend, why don’t they file a complaint with Vigilance or FIR and follow-up and keep people informed about progress and ultimately take it to a conclusion? If BJP and its supporters believe Kejriwal is corrupt, then arrange to get him convicted. They even have police and CBI under their influence. Why do you think they arrested AAP MLA’s when they ultimately found nothing. They too probably knew that nothing could be found. Doesn’t hurt to book them. It would fan the public sentiment against them and keep the toxicity against AAP at the optimal level. What should ultimately matter are the decisions and executions. The projects for public welfare or even against public welfare. Those are what everyone, including news media, should focus, discuss and debate. Why would media not report on work carried by an MLA in his constituency? When a government decides to start a mining project and auction frequency spectrum, that needs to be discussed. When education minister in Delhi starts a new project, that needs to be reported. When union government brings out a blueprint for fighting corruption, that should be debated and discussed. But Kejriwal living in X house or Y house or Modi wearing a shirt with his name – how consequential are those on regular people’s lives? If Modi or BJP says AAP people are Naxalite and should go back to forests, are those comments important? When Delhi CM constantly claims that BJP and INC are in cahoots, is that important when not a single conviction is happening? These things are at least not worth producing hundreds of articles and telecast five thousand debates on TV. Of course, these are of great consequence for page views and TRPs. That’s why I often observe that in media business you end up doing what is profitable and not necessarily what is right. Sure, sometimes the right thing to do also happens to be profitable. Now there has to be a line that should not be crossed in the crossfires of allegations and comments. Case in point is politicians and influential leaders saying things that have a potential to cause violence or rift in society. Those should be reported and reported again. General people, lacking objectivity will believe such things as well and resort to violence. Comments on religion, faith, gau raksha, and fatwa can cause serious problems to peace in society. In short, if us people start seeing through words and filter out the noise and pay attention to only the relevant information, that can encourage politicians to engage less in trash talk because they would see that those efforts aren’t bearing fruits. We need to stop liking, retweeting and sharing irrelevant sound bytes and videos to help reduce this madness. कश्मीर की दहलीज तक | Kashmir, Almost ! 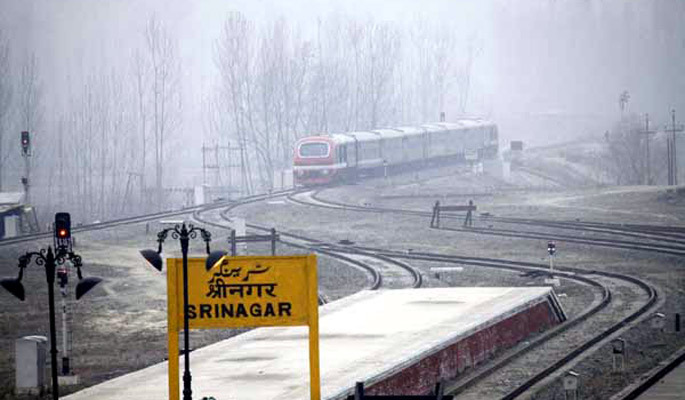 Early in January, I had to cancel one planned trip to Kashmir. A week later, I wanted to go. Anywhere. Just somewhere. After lots of deliberation about going to Kashmir or Bhutan or going anywhere at all, I finally got myself close to flying to Srinagar. Loaded my iPod with the most beautiful santoor pieces, packed enough woolen. I was super organized this time. Reached airport on time. While in the lounge, checked the display with reasonable periodicity. But something else was planned. The flight was delayed first. Another announcement delayed it by another hour. Finally canceled 😦 . When I went down to the departure gate, it was a mela of Kashmiris. They were all so pretty. Exactly how I imagined when I would hear Rahul Sharma’s album Sounds of Valley. Long nose. Chiselled faces. 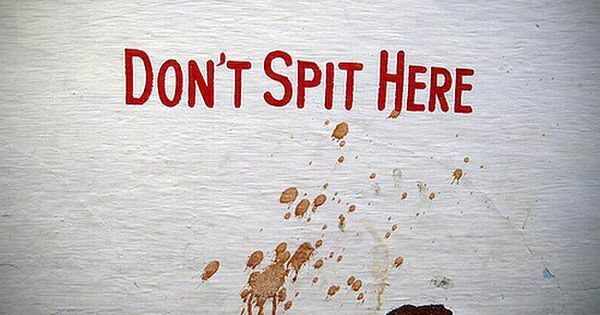 An accent that usually pahadi people have. There was no flight seat until 22nd January. My return flight itself was scheduled for 22nd. There. My Kashmir vacation was over before it even started. Only thing Kashmiri I could get access were Kashmiris. They were very kind. They expressed disappointment for me.